Picture discs eh? After the release of 'The Cars' first two singles (My Best Friends Girl and Just What I Needed), I became an avid collector of 7" singles. So much so, I reckon I have just about every 7" picture disc single released from 1978 to 1986. Including every 'shaped' 7" picture disc single and most 12" singles. I've got hundreds of them. Thanks for the warm welcome back, totally agree with you about the sound quality of these pictures discs compared to the std black discs. These discs where more marketed towards the artist fan rather than the music purest, but they still looked amazing IMO. Would imagine they can't be stylus user friendly either, where i have seen some top end cartridges selling for eye watering hundreds of pounds (No problem if you was playing these picture disc records on say an old Amstrad Record player or something similar). Anyway i am going off topic now and need to get back on track discussing about old HiFi. @schnapps off topic but noticed that you can be away for months at a time. Taking a break or serving her Majesty? Thankfully nothing like being attained at Her Majesty Pleasure or any Heath issues, just spending time with other interests outside the community forums. Thanks for enquiring anyway, was keeping my eye on any future customers trials which i enjoy much more than the general discussions on the forums to be honest. If any pop up in the future, would appreciate if somebody could send me a PM so i can put my name forward on the list. @schnapps I meant in the services not locked up lol. Sorry i totally misunderstood your post, didn't even think about the Armed Services (How embarrassing on my part) for some unknown reason i had HMPS in my head . Picture discs, yes I also enjoyed looking at them but never bought any, I wish I had now, but I did buy some coloured discs, 12" 45rpms to be exact. I had a green, blue, yellow and my most famous red 12" 45, "Strawberry Letters 23" by Brothers Johnson. Anyone who knows that record will know that the artists never actually sang the title, they always sang "Strawberry Letters 22" instead, never found out why. You know, I fell out of love with 7" singles when I fell in love with Hi-Fi, simply because singles were not engineered, i.e. mixed, to sound good on a Hi-Fi system instead they were mixed to sound good primarily on the radio or on a portable radio with the battery running down. That's why 45s sounded bright and loud, it had to catch the listeners attention within 2 or so minutes. However, 12" 45s were another story, they were mixed so that they could be heard on the dance floor and so the music enjoyed an extra "lift", i.e. all the instruments sounded sharper and the bass was "that much" deeper. When I first read your post to Schnapps, I too thought you were asking if he had been a guest of HMPS, funny that. My first Hi-Fi turntable, the Sansui 212. Believe it or not, this 12" 45 rpm disc is a good record that shows the spacial tones between instruments, depth of bass and 3D sound capabilities of a good Hi-Fi system. This is all alien to me! I just could not restrain myself, the Sansui SR212 turntable is the best "sounding" budget Hi-Fi turntables I have ever come across, especially when paired with the brilliant Ortofon VMS 20E Mk2 Cartridge. 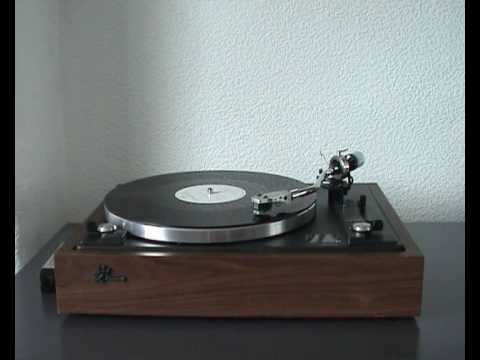 In fact, I will go as far to say that this turntable did not get the acknowledgement it deserved when it was around.